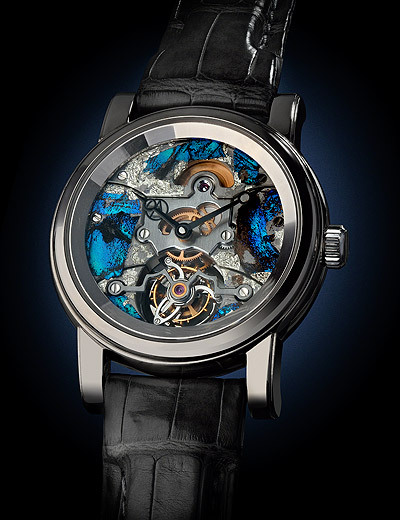 Yvan Arpa stands as one of the most audacious and avant–garde watch creators alive. How audacious? 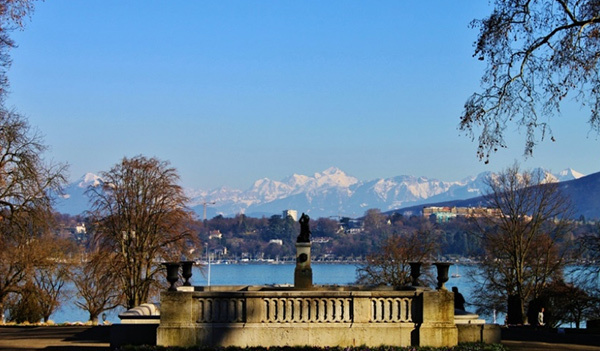 One year when visiting with him in Switzerland he presented a watch that was made out of a fossilized piece of dinosaur dung! He uses other materials like butterfly wings, tobacco leaves, real bullets and a host of other materials. Some pieces are even hit with lightning! Yvan has a long history in the watch business and after having made a significant contribution to some of the biggest success stories in the watch industry, he launched his own Brand, called ArtyA in 2010. 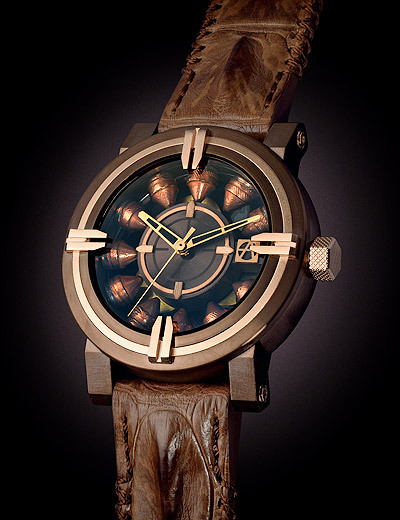 (ART + Yvan Arpa) Since then he has been creating some of the wildest horological creations the world has ever seen!